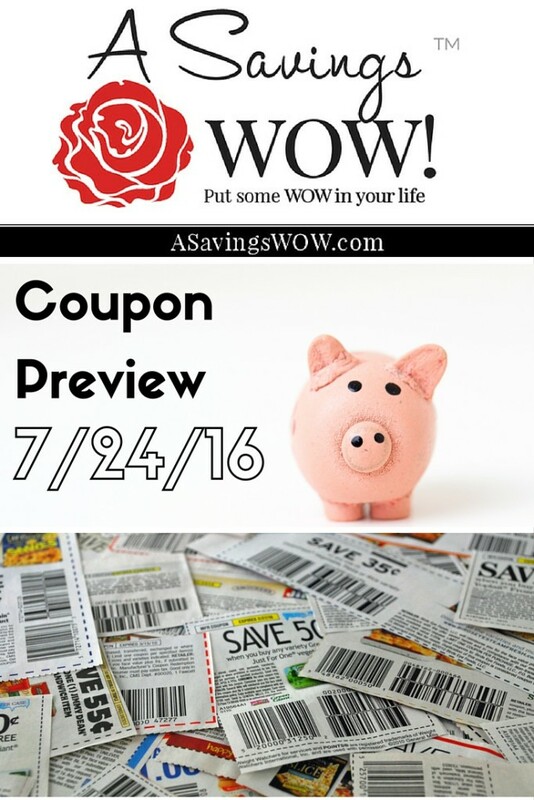 Coupon Preview 7/31/16 | A Savings WOW! Check out the coupons that will be in Sunday’s newspaper. There is one (1) SmartSource, (1) RedPlum and (1) Proctor & Gamble scheduled coupon inserts.